Description: For two years, rumors has spread across the city about a mysterious vigilante known as "The Bat" - though no official pictures or recordings exist to prove his existence. Fed up with losing men to him, the powerful crime boss known as Black Mask sets a price on The Bat's head on Christmas Eve. Anyone who would care to try is given one night to cash in on the reward of 50 million dollars - if they can. 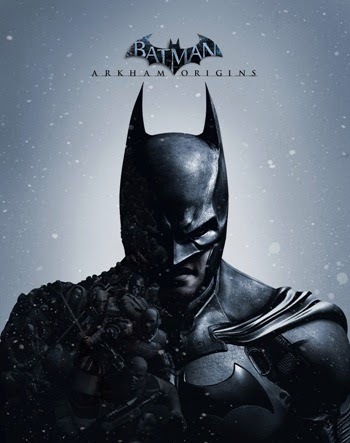 Continuing the best-selling game series about the worlds greatest detective, Arkham Origins give us a prequel to the events of the previous titles. Batman has only been active for two years and has yet to meet most of the now iconic supporting cast of his stories. This game marks a couple of firsts, this is the first game in the Arkham series to not be created by Rocksteady - instead the title is handled by by Warner Bros. Games Montréal and Splash Damage Studios. This is also the first title in the series to not have Mark Hamill and Kevin Conroy play The Joker & Batman respectively. Conroy and especially Hamill have been voicing these characters on and off since the hugely popular Batman: The Animated Series that ran in the early 1990's and have become iconic in their roles. This leaves a huge gap to fill out and I'm glad to say that both newcomers, Robert Craig Smith as Batman and Troy Baker as The Joker do a really good job at filling out their shoes. Especially Smith sounds like Conroy from time to time and Baker, while channeling Hamill's performance, does a more reserved version of the voice that, honestly, works really well for the character. The other voices also do a pretty good job of conveying their characters, though I have to stress how easily it becomes to recognize the same voiced when you hear them again and again - I'm of course talking about the nameless flunkies that appear throughout the game. Special type characters have special voices, such as the big musclebound ones but when the ones you hear mostly all have the same three or four voices it quickly becomes routine to hear the same banter over and over again. I understand why this was done, voice work is hard, good voice work is even harder and there's only so much time and resources you can put into the unnamed characters - however it bears mentioning all the same. Arkham game fans can rest assured however, the gameplay is pretty much copied directly from the two previous titles with only minor tweaks in the form of new combo's for new types for mobsters. We also have two new gadgets in the game, giving room for new interesting puzzles. 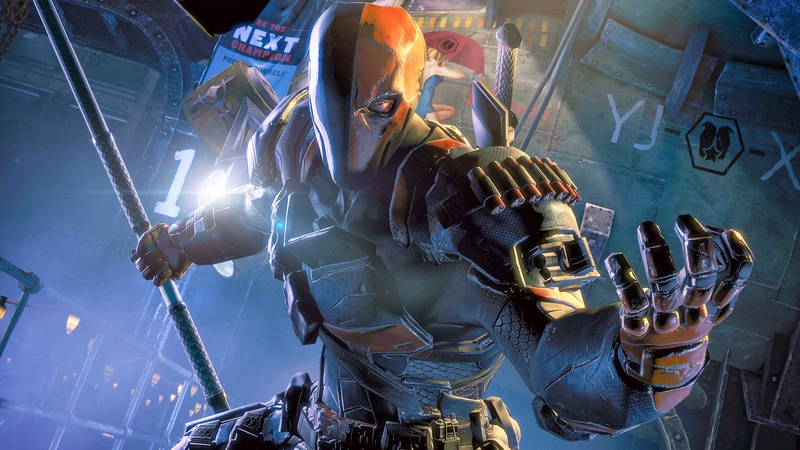 Unfortunately, like with Arkham City most of the puzzle solving comes from the Riddler side-mission. Find the unlockable, solve the challenge, on to the next. It's pretty much a thing for the completists among you. A positive improvement is a fast-travel system, made unlockable by solving some of these side-missions so at least that's a carrot for the rest of us. Design-wise the game is very much "same old". 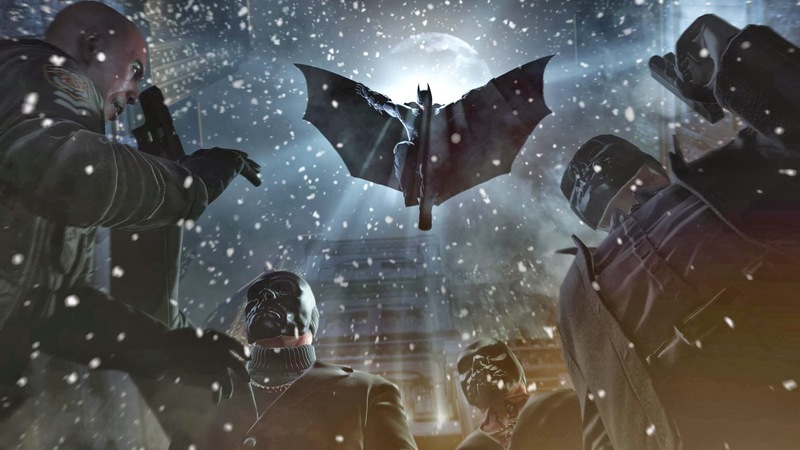 Since it takes place on Christmas Eve, it's once again a snow-filled landscape and therefore the creators have ported some of the environments directly from Arkham City. The old church, the courthouse and other such locations are all present and accounted for. Thankfully, there are new areas added to the mix as well but the old environments still take up about half of the game map. The designs of the characters are, on the other hand, pretty good. A younger Bruce Wayne, bearing a much heavier armor makes one think of the Dark Knight Trilogy, yet it isn't a complete copy most notably coloring-wise. This made me, personally, breathe a sigh of relief as I'd like each iteration of the Batman to be it's own separate thing (And frankly, I've never been a fan of any of the cinematic Batsuits). The character designs for other characters are, as they should be, a lot less colorful and outlandish than in previous titles. Keep in mind that this story takes place prior to the public knowing that the caped crusader exist and therefore Batman is mostly found dealing with "normal" criminals this time around. This also serves to enhance the few present colors more than ever, which the designers thankfully have used to their advantage making the presence of colors either restricted to billboards or to the special events. This brings us to the story. As is tradition for the series, the writers have tried to incorporate as many well-known Batman characters as possible. Unfortunately the set scenario makes some of these cameos extremely unplausible compared to the other games. Both Arkham Asylum and Arkham City took place in prisons, which is why it made sense that Batman would have to deal with all the big names from his rogues gallery. However, in this game we're expected to believe that Batman would have his first encounter with several of his most well-established villains all in a single night. 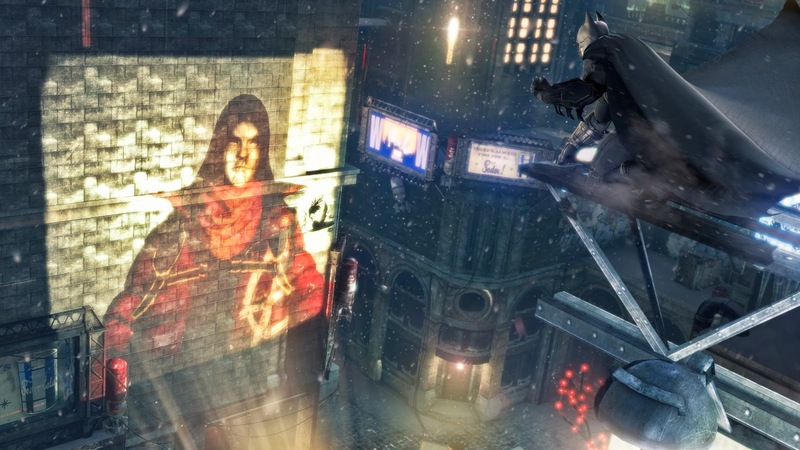 The most immediate threat in the story is that of the assassins out for the 50 million dollar bounty on Batman's head, fortunately the writers has kept the assassins down to, at the very least, character who are known to be mercenaries in the comics as well. Lesser known characters like Firefly, Electrocutioner, Deadshot and Lady Shiva all make an appearance, some more well-known than others but all definite C or D-list villains, in spite of the recent appearance by Bane in The Dark Knight Rises, he's also normally considered a lesser known Batman villain. But then we're also exposed to The Joker, The Penguin and even The Mad Hatter. While they all are done excellently, Mad Hatter especially makes a much bigger appearance than he did in Arkham City, you can't really help but question the validity of all this taking place in a single night. The game becomes way too crowded, and some of the assassins are only finally dealt with in optional side-missions. This is actually a pretty big problem, as I found myself being more interested in solving the optional missions than engaging in the story. At the very least, the ending of the story is a lot better than the outlandishness of the ending of Arkham Asylum, staying a lot more true to classic Batman form. The game also sees the return of the more outlandish scenes, similar to the Scarecrow sequences of Arkham Asylum. We get an interesting and trippy look into the mind of Batman on more than one occasion. Sad as it is though, I don't expect casual Batman fans to get much out of the game compared to previous entrances in the series - while the voice acting is excellent, the story is just way too crowded with characters and events and it makes a lot of the struggles in story seem like they have little to no impact. Not to mention the obscurity of some of the characters only serving to make them sideshow characters once the more well-known villains show up to play. It has some very cool moments, but they're far in-between. If you just want a Batman sandbox game however, the side-missions are very entertaining and the higher focus this game puts on actual detective work is a refreshing change making the game at least the turning point for an entertaining weekend.